To be a part of a team responsible for consistently facilitating optimum results for both our clients and candidates. Have to provide value and support by attracting and recruiting the best people for business. Should be operated each day with the principles of passion, grit, team-spirit, and integrity. 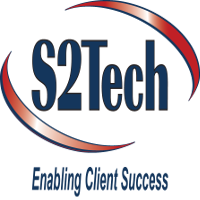 As an S2Tech Talent Acquisition Specialist, you will be responsible for sourcing, interviewing, qualifying, assessing candidates to fulfill current and forecasted IT/ Technical requirements. You will use your interpersonal skills to build long-term relationships with consultants. To satisfactorily complete Sourcing and building Market Intelligence training and graduate to full Talent Specialist responsibilities. Work closely with Talent Advisors and Management staff. Source potential candidates by utilizing job boards, referrals, advertising, social media, and other resource pools. Post job requirements on the internet to increase the candidate pool. Utilize the automated applicant tracking system effectively.